Synth metal outfit Narcissus hit the ground running with TRICK, an upbeat, power-chord heavy track, spliced with piercing 80s synth sounds to really peak the crowd’s interest. Ho Man Lung sang with incredible fragility, whilst still being able to cut through the powerful backing of her bandmates. The driving AGAINST the Brazen allowed Lung to come out of her shell, demanding people’s attention with her foot on the monitor, and delivering a vocal with far more power than the opener. The track was constantly changing, without feeling forced, and the gothic synth sounds merely added to the personality of the well-rehearsed group. Narcissus took everyone by surprise with their closer Midnight PARADISE. With constant bass arpeggio runs, the rest of the band adopted a descending jazz skiffle. Drummer Yuk Chung Ching even embellished a neat solo, before diving back into the frantic jazz meld. It was a risky move, but they completely owned it, before Lung sealed their set with a kiss to the crowd. A faultless performance. In less than a minute, Narcissus showed me one side and changed that perception almost right away. To be honest, I wasn’t sure what they were going to be as they started as a lot of Hong Kong rock bands these days, like a pop band. To a point where I thought their lead singer 七瀨 was going to be a slightly more energetic Denise Ho, Hong Kong’s very own rebel musician. But with a quick stomp on the pedal and quick wave of the hand, I was transformed to another place. 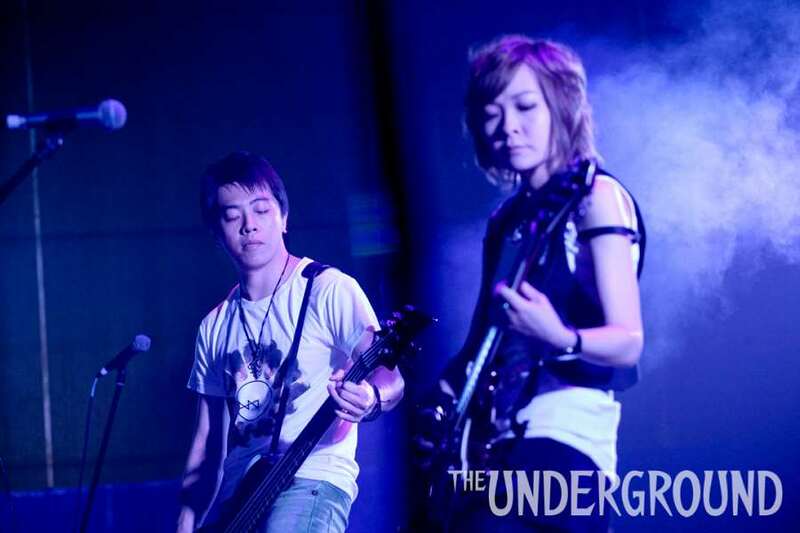 As the intro to their first song, 戀影花 died down, they launched into something reminiscent of Alter Bridge or Creed. Loud, crunchy and fun. Their laid back verse and powerful choruses work together like so many bands that came before them from the early 2000s. They even had time for this cool breakdown for a Spanish guitar solo. Song 2 (every time I say that I think of Blur) 頹垣敗瓦, which funnily enough has a small eight bar chord progression resembling that song, started with a nice drum intro and band introduction. 七瀨, having put her guitar down after the first song, went into full front woman mode, and she killed it. Part Punk part Evanescence, part HIM and all rock. They might have been a touch under pressure, considering the night, as they weren’t at their tightest, but you saw they were having fun and really enjoying themselves. This song has all these great hits and points and you could sense when they wrote it, they were having the time of their lives. They really have nailed the hard rock/Metal formula where bands like Metallica, with their guitar solos and and big choruses, have spent decades perfecting (save for St. Anger). Their third song Trick was probably their tightest of the night, and was a great combo of Godsmack and maybe a bit of Seether thrown in. It was straightforward but with some power palm muting making it aggressive and fast. Arrangement wise, I also feel this was their most accomplished song of the night. They way the songs works is a beautiful thing, and it also had a guitar solo that would make Metallica guitarist Kirk Hammett proud. Their fourth and final song, reminded me of Whatever by Godsmack. And it’s a shame this was their last song. I was really getting into their set and I think they were just getting warmed up. But it was a great song to end on. If you can get Metallica’s For Whom the Bells Toll and Whatever into one song, it would be this. All in all, I think it was a good day at the office for Narcissus. After the acoustic Matchbox 20 feel of the previous band, this was a good change. They need a bit more polish on some of their songs, but they no doubt are well on their way to being a great band here in Hong Kong. The previous bands I have reviewed have been fronted by women, and it is great seeing more and more women shatter the notion that bands are made up of guys. We have a long way in catching up with Europeans and Americans in terms of getting more women in rock and out of Pop but what I see has been so promising. Chris B truly has paved that road for others to finally follow. Sign me up for Narcissus’ next show. With a look evocative of the flamboyancy of Japanese symphonic rock, and a name inspired by a vain individual from Greek mythology, Narcissus – or “daffodil” – raised the riff as the first act at the Jager x The Underground show. They find their stride with confrontational opener ‘Against the Brazen’, introducing a musical style that experiments with melodramatic, HIM-style metal and gothic vocals. Singer 七瀨 is a confident and magnetic frontwoman, whose voice soars between tender canto-pop verses, and powerful Within Temptation choruses laden with romantic angst. The omni-present synths give Narcissus its sound. It’s clear keyboardist Jasmine is classically trained as her synths glimmer over screeching solos and punchy riffing on hook-led centre-piece ‘Trick’. However, the flutey melodies sometimes seem to be doing their own thing alongside 清’s practically flawless rhythm and the exacting guitar work. ‘Midnight in Paradise’ is a haunted melting pot of styles, beginning with a bar of ‘Dance of the Sugar Plum Fairy.’ Things don’t get any less creepy as the toyroom keys join shuffling bass and happy chords to morph into a kind of neo-swing frankensong. It’s a baffling note to end on, but shows off the versatility of sole guitarist 輝, whose unassuming demeanour belies serious talent. At this stage, there’s still something rather ‘battle of the bands’ about Narcissus, but a defiant first billing at Orange Peel signalled there’s a lot more to come from this ambitious quintet. 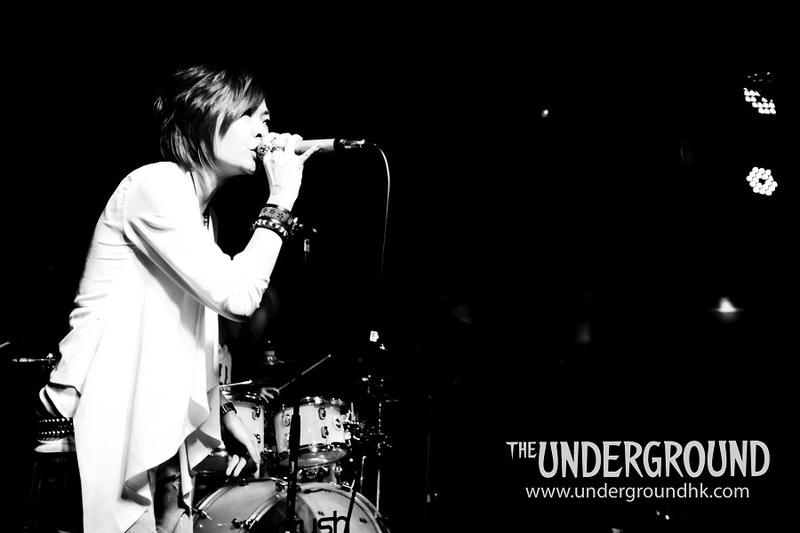 And where better to do it than on the nurturing stage of The Underground?